The $24 million library project, 22,000-square-foot in size, is designed to be San Mateo County’s first net zero energy building, including solar panels, EV charging stations, a living roof and other energy-reducing features. 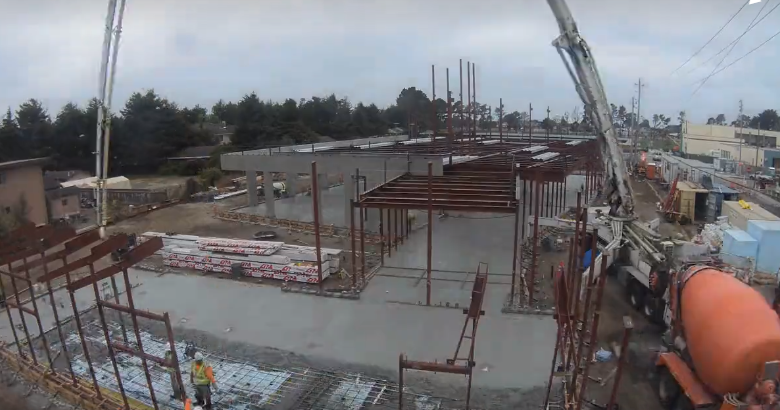 Green concrete from Graniterock is a major component of the project as Half Moon Bay leaders strive for the modern facility to receive enough LEED credits for gold certification from the U.S. Green Building Council. The concrete, with up to 70 percent supplemental cementitious materials used in place of cement, was used for the library foundation, floors and other features such as retaining wall and walkways. Working with general contractor BHM Construction of Napa has been successful for the Graniterock concrete team.